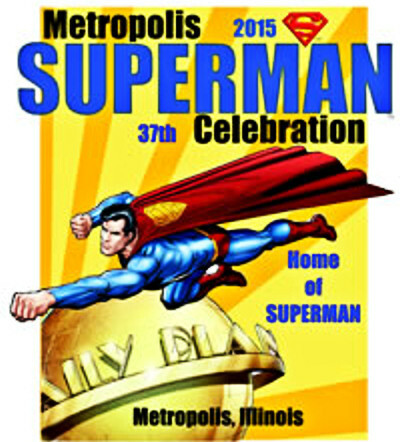 Celebrating all things Super, the schedule for the Superman Celebration is filled with events for young and old. Characters, artists and celebrities associated with Superman comics, television shows and movies can be seen around town during this one-of-a-kind event. Click here for Schedule of Events. Celebrity Guests: Candace Patton, Caity Lotz, John Shea, Stacy Haiduk, and Diane Sherry Case. Comics Guests: Kurt Busiek, Alex Saviuk, Mike Norton, John Jackson Miller, Randyl Bishop, Ken Bailey, Sean Dulaney, Lonnie Easterling, Mitch Foust, Benjamin Glendenning, and Jim Hall. Artists & Writers: Trevor Hawkins, Brian K. Morris, Alan Perry, and Nick Rokicki & Joe Kelley. Other guests: Scott Long, comedian – Morgan Strebler, illusionist – Josh Boultinghouse, our official Superman. Music Guests: Rubik’s Cube – Soul Bandits – Cherish the Blue – Cross Harmony – The Whisnants – Corey Evitts. Man of Steel Area: BMX Bike Show – K9 Crew Trick Dog Show – Superman vs Batman Tug of War – Great American Puzzler Team Competition – Outdoor Theater – Superman Classic Push/Pull Competition – Zumba on the Square. Man of Steel Tent: 60 Seconds to be Super game – Fortess of Jellotude contest – Super City Crossfit Challenge – Collectibles can be graded and priced. Metro Tent: Lois Lane and Helping Hands Award Ceremonies – Illusionist Morgan Strebler – Superman Radio Show – Q&A with Celebrities – Superman Trivia – Comic Art Panel – Comic Book Faces program – Enjoy Hero History III program – Community Worship Service – Stump the Superman Expert Contest – Heroes and Villains Costume Contest. Smallville Tent: Color Superman Posters, Giant Comic – Kids Karaoke – Puppet Workshops – Super Silly Games – Jason Lindsey with Hooked on Science – Muley and Friends Puppet Show – Kids Superhero Costume Contest – Kids Superhero Gameshow – Supergirl and Superboy Pageant – Superdog Show – Beautiful Baby Contest – Scavenger Hunt. Superman Square: Opening Ceremony and Skit – Meet Superman and Celebrities – Swearing in Ceremony for Honorary Citizens – Costume Parade – Wedding Ceremony – Color a Cape – Closing Ceremony. Baymont Inn Events: Celebrity Autograph Sessions – Film Festival Screenings and Awards – Scott Long Comedy Show – Save the Massac Benefit Auction – Documentary: “The Midwest in Panels” – USA Championship Wrestling with Jerry Lawler – – Helicopter Rides at Baymont Theater Area. For more information, contact the Metropolis Chamber of Commerce, 618-524-2714 or 800-949-5740. Visit website for more details. Click here for Schedule of Events. This entry was posted in All the Buzz - Bee Informed and tagged Carnival, Celebrity, Comic, music, Superman on May 1, 2015 by massacbeeswax.